My iris garden produced yellow, white, purple and pale blue flowers this morning. This sudden proliferation of profuse color has me just a bit worried that it will be a short bloom season. Rather than see this as the glass half empty garden, I'm going to believe this will be the best iris season ever in the gardens of Flower Mound Studio! 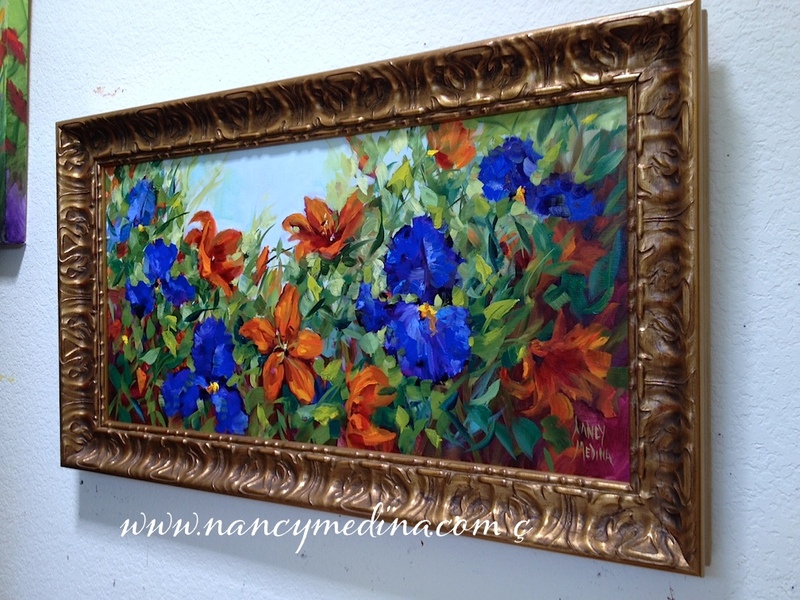 Blue Iris Lily Garden is based on those blooms, and one of over 100 new paintings I'll have on display at Dallas Arboretum Artscape April 26-27. I can't believe it's almost here, holy cow I have to make some tags and labels and decide what color apron to wear that day. 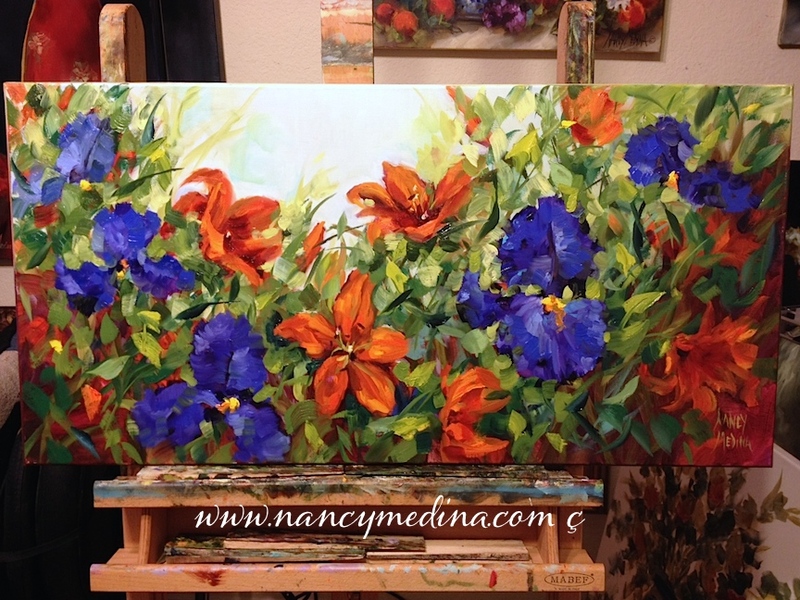 So much to do, so many flowers to paint, so little time! Here's a bit more on Artscape, I sure hope to see you there!